Archaeology (sometimes spelled archeology outside the United States) is one of the four sub-fields of anthropology. Archaeology studies human cultures through the recovery, documentation, and analysis of material remains and environmental data, including architecture, artifacts, biofacts, human remains, and landscapes. 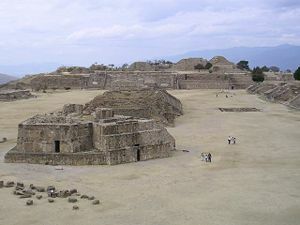 While there are numerous goals pertaining to its various sub-disciplines, the main goal of archaeology is to create the most thorough understanding of how and why both historical and prehistoric people lived, to understand the evolution of human society and civilizations, and to use knowledge of ancestors’ history to discover insights into modern-day societies. Through such efforts, it is hoped that archaeology will support increased understanding among the various peoples of the world, and thus aid in the growth of peace and harmony among all humankind. Archaeology as a discipline is of fairly recent origin, although people have always been fascinated with their own cultural history. Until the late eighteenth and early nineteenth centuries, such fascination was relegated to speculation, curiosity, and plundering of ancient treasures. Kings and princes valued themselves according to the size and variety of rare antiquities that they collected, while professional thieves made a living from raiding tombs and monuments for bounty that they could sell. The intellectual value of such artifacts was often overshadowed by their pleasing aesthetic and monetary worth, and thus the activity was basically art collecting. Even when artifacts were appreciated for their cultural significance, there was no way to fully analyze them for they were out of context and adequate scientific techniques and processes were not available. Still, such curiosity and passion for the physical remains of the past were the essential origins of archaeology. It was not until the realization that curiosity for human biological and cultural remains joined with careful scientific observation and analysis could indeed provide a deeper understanding of the past, that the discipline of archaeology began to be formulated. One of the first to undertake a carefully detailed excavation in order to test popular belief about history was Thomas Jefferson. Challenging the preconceived notions of the early American society about the indigenous peoples of the continent, Jefferson excavated a burial mound and, through detailed observation, came to conclusions that later proved accurate. Yet, archaeology as a serious academic discipline did not emerge until the end of the nineteenth century, the byproduct of a number of scientific discoveries and new theories. The discovery that the earth was older than previously understood, and therefore that humans had been around longer than the established timeframe of the Bible, spurred scientific curiosity in exploring human origins. Similarly, Charles Darwin’s On the Origin of the Species (1859) introduced the theory of evolution, inciting a furor of academic debate and research. Even more important for archaeology was C. J. Thomsen’s establishment of the "Three Age System," in which human history was categorized into three eras based on technological advancement: the Stone Age, Bronze Age, and Iron Age. The chronological history of man became an exciting academic field. Soon, teams of archaeologists were working around the world, discovering long lost ruins and cities. In the 1980s, a new movement arose, led by the British archaeologists Michael Shanks, Christopher Tilley, Daniel Miller, and Ian Hodder, questioning processualism's appeals to science and impartiality and emphasizing the importance of relativism, becoming known as post-processual archaeology. As a sub-discipline of anthropology, archaeology has become a major academic field throughout the world, with most major universities hosting various laboratories and research facilities. It has become distinct from history, in that it relies on scientific testing and techniques to determine the validity of theories. It has proven its significance in the academic world by filling in major gaps in the understanding of human history, where written records are either incomplete, biased, damaged, missing, or, in the eras of prehistory, before writing even existed. Archaeology has been described as a craft that enlists the sciences to illuminate the humanities. The American archaeologist Walter Taylor asserted that "Archaeology is neither history nor anthropology. As an autonomous discipline, it consists of a method and a set of specialized techniques for the gathering, or 'production' of cultural information." Over the years, archaeology itself has been broken down into sub-disciplines, typically characterized by a focus on a specific method or type of material, geographical, or chronological focus, or other thematic concern. These sub-disciplines include Assyriology (study of Mesopotamia), Phoeniciology (study of Phoenicia), classical archaeology (study of Greece and Rome), and Egyptology (study of Egypt). Archaeology was extended later in the twentieth century to areas beyond the Mediterranean, the Middle East, and Europe, to include Pakistan with findings of the Indus Valley Civilization at Harappa, China with excavations at An-yang revealing evidence of the Shang Dynasty, Africa with the work of Louis Leakey at Olduvai Gorge, and South America with findings such as Maccu Picchu from the Inca Civilization. The other main division of archaeology is into historical archaeology, which examines civilizations that left behind written records, and prehistoric archaeology, which concerns itself with societies that did not have writing systems. However, this division is generally valid only in Europe and Asia, where literate societies emerged without colonial influence. In areas where literacy arrived relatively late, it is more convenient to use other terms. In areas of semi-literacy the term protohistoric archaeology can be adopted to cover the study of societies with very limited written records. The following is a list of other sub-disciplines. Some of these are not areas of study in their own right, but rather are methods to be used in larger projects. Archaeoastronomy is the study of the relationship between the configuration of ancient monuments and astronomy. Archaeological science or Archaeometry is the application of scientific techniques or methodologies to archaeology such as radiocarbon dating, statistics, and remote sensing. Archaeozoology is the study of animal remains in human settlements. Archaeobotany is the study of human–plant interaction in the archaeological record. Ethnoarchaeology is the study of modern societies resembling extinct ones of archaeological interest to determine, for instance, what kinds of objects used in a living settlement are deposited in middens or other places where they may be preserved, and how likely an object is to be discarded near to the place where it was used. Experimental archaeology involves attempting to re-enact past processes to test theories about ancient manufacturing, engineering, and the effects of time on sites and objects (for example flint-knapping). Environmental archaeology studies the long-term relationship between humans and their environments. Forensic archaeology is the application of archaeological techniques to criminal investigations. It has become particularly prominent in the investigation of mass-killings associated with war crimes. Maritime archaeology is the study of submerged archaeological sites, including shipwrecks, as well as settlements that have been engulfed by bodies of water. Museum studies is the display and interpretation of past remains for the public in a museum. Paleopathology is the study of ancient disease amongst animals and humans. Taphonomy is the study of how objects decay and degrade over time. This information is critical to the interpretation of artifacts and other objects, so that the work of ancient people can be differentiated from the later work of living creatures and elemental forces. There are also a wide variety of techniques used for post–excavation analysis. Surveying was not widely practiced in the early days of archaeology. Cultural historians and prior researchers were usually content with discovering the locations of monumental sites from the local populace, and excavating only the plainly visible features there. Gordon Willey pioneered the technique of "regional settlement pattern" surveying in 1949, in the Viru Valley of coastal Peru, and surveys of all levels became prominent with the rise of processual archaeology some years later. Survey work has many benefits if performed as a preliminary exercise to, or even in place of, excavation. It requires relatively little time and expense, because it does not require processing large volumes of soil to search out artifacts. Nevertheless, surveying a large region or site can be expensive, and so archaeologists often employ sampling methods. Surveying avoids ethical issues (of particular concern to descendant peoples) associated with destroying a site through excavation. A survey is the only way to gather some forms of information, such as settlement patterns and settlement structure. Additionally, the data gathered about the surrounding area are often assembled into maps, which may show surface features and/or artifact distribution on a larger scale. There are two types of surveys: A regional survey attempts to systematically locate previously unknown sites within a region; a site survey is the attempt to systematically locate features of interest, such as houses and middens, within a particular site. The simplest survey technique is the surface survey. This involves combing an area, usually on foot but sometimes with the use of mechanized transport, to search for features or artifacts visible on the surface. Surface survey may also include mini-excavation techniques such as augers, corers, and shovel test pits. However, it cannot detect sites or features that are completely buried under the earth, or overgrown with vegetation. Aerial surveys are conducted using cameras attached to aircraft, balloons, or even kites. A bird's-eye view is useful for quick mapping of large or complex sites. Aerial imaging can also detect many things not visible from the surface. Plants growing above a stone structure, such as a wall, will develop more slowly, while those above other types of features (such as middens) may develop more rapidly. Photographs of ripening grain, which changes color rapidly at maturation, have revealed buried structures with great precision. Aerial surveys also employ infrared, ground-penetrating radar wavelengths, and thermography. A geophysical survey is the most effective way to see beneath the ground. Magnetometers detect minute deviations in the Earth's magnetic field caused by iron artifacts, kilns, some types of stone structures, and even ditches and middens. Devices that measure the electrical resistivity of the soil are also widely used since most soils are moist below the surface, which gives them a relatively low resistivity, while features such as hard-packed floors or concentrations of stone have a higher resistivity. Although some archaeologists consider the use of metal detectors to be tantamount to treasure hunting, others deem them an effective tool in archaeological surveying. Examples of formal archaeological use of metal detectors include musket ball distribution analysis on English Civil War battlefields and metal distribution analysis prior to the excavation of a nineteenth-century shipwreck. Archaeological excavation existed even when the field was still the domain of amateurs, and it remains the source of the majority of data recovered in most field projects. It can reveal several types of information usually not accessible to survey, such as stratigraphy and three-dimensional structure. Stratigraphy refers to the horizontal layers of sediment that accumulate, one on top of the other, over time. When digging into the ground, a cross section of the stratigraphy is visible, each layer representing a period of time (the earliest being the farthest down). In addition to helping create a workable timeframe, the composition of each deposit can reveal a great deal about the climate and environment of that time. Modern excavation techniques require that the precise locations of objects and features, known as their "provenance" or "provenience," be recorded. This always involves determining their horizontal locations, and sometimes vertical positions, within the ground’s stratigraphy. Similarly, their association, or relationship, with nearby objects and features is recorded and can help determine certain information. For example, if two objects were found at one site, but in different layers of deposits, it may be determined that the site was inhabited more than once during the course of history, and perhaps not by the same people. Excavation is the most expensive phase of archaeological research. Also, as a destructive process, it carries ethical concerns. As a result, very few sites are excavated in their entirety. Thus, sampling is even more important in excavation than in survey. It is common for large mechanical equipment to be used in excavation, especially to remove the topsoil, though this method is increasingly used with great caution. Following this rather dramatic step, the exposed area is usually hand-cleaned with trowels or hoes to ensure that all features are apparent. A site plan is produced to decide the method of excavation. Features dug into the natural subsoil are normally excavated in portions in order to produce a visible archaeological section for recording. Scaled plans and sections of individual features are all drawn on site, black and white and color photographs are taken, and recording sheets are filled in describing the context of each. All this information serves as a permanent record and is used in describing and interpreting the excavated site, the original features of which were destroyed in the process. Once the artifacts and structures have been excavated, or collected from surface surveys, they are studied in order to obtain as much data as possible. This process is known as post–excavation analysis, and is normally the most time-consuming part of the archaeological investigation. It is not uncommon for the final excavation reports on major sites to take years to be published. At its most basic form, the artifacts found are cleaned, catalogued, and compared to published collections, in order to classify them typologically, and to identify other sites with similar artifact assemblages. However, a much more comprehensive range of analytical techniques are available through archaeological science, meaning that artifacts can be dated and their compositions examined. Additionally, non-cultural remains found at the site, such as the remains of plants and pollen samples can be analyzed to determine information about the environment at the time (using the techniques of paleobotany and paleoclimatology). Cultural resources management (CRM) refers to a body of legislation and governmental agencies that actively take part in archaeological research and preservation. Such legislation as the National Historic Preservation Act of 1966 and the Archaeological Resources Protection Act of 1979 require funding for the management and preservation of archaeological sites and artifacts. Such agencies as the National Forest Department, the Department of the Interior, the Army Corp of Engineers, and the National Historical Society all have archaeological units that deal with sites and artifacts. Among the goals of CRM are the identification, preservation, and maintenance of cultural sites on public and private lands, and the removal of culturally valuable materials from areas where they would otherwise be destroyed by human activity, such as proposed construction. This study involves at least a cursory examination to determine whether or not any significant archaeological sites are present in the area affected by the proposed construction. If these do exist, time and money must be allotted for their excavation. 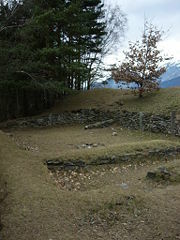 If initial survey and/or test excavation indicates the presence of an extraordinarily valuable site, the construction may be prohibited entirely. CRM is a thriving entity, especially in the United States and Europe, where archaeologists from private companies and all levels of government engage in the practice of their discipline. Cultural resources management has, however, been criticized. CRM is conducted by private companies that bid for projects by submitting proposals outlining the work to be done and an expected budget. It is not unheard of for the agency responsible for the construction to simply choose the proposal that asks for the least funding. CRM archaeologists face considerable time pressure, often being forced to complete their work in a fraction of the time that might be allotted for a purely scholarly endeavor. 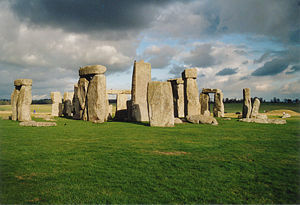 In England, the English Heritage Agency determines sites that hold historical and archaeological importance and determine if and when such sites may be developed. Similar programs exist in Denmark, Australia, and New Zealand, but more stringent legislation governs Greece, in which whole construction projects have been abandoned because of archaeological findings. Looting of archaeological sites by people in search of hoards of buried treasure is an ancient problem. 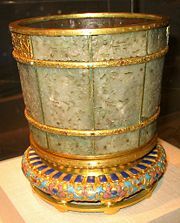 For instance, many of the tombs of the Egyptian pharaohs were looted long ago. The advent of archaeology has made ancient sites the object of great scientific and public interest, but it has also attracted unwelcome attention to the works of past peoples. A brisk commercial demand for artifacts encourages looting and the illicit antiquities trade, which smuggles items abroad to private collectors. Looters damage the integrity of a historic site, deny archaeologists valuable information that would be learnt from excavation, and rob local people of their heritage. Looting has been common in poor third world countries that are former homes to many well-known ancient civilizations, but lack the financial resources or political will to protect even the most significant sites. Certainly, the high prices that intact objects can command relative to a poor farmer's income make looting a tempting financial proposition for local people. However, looting has also taken its toll in places as rich and populous as the United States and Western Europe. For example, abandoned towns of the ancient Sinagua people of Arizona, clearly visible in the desert landscape, have been destroyed in large numbers by treasure hunters. Sites in more densely populated areas farther east have also been looted. The central ethical question facing modern archaeologists, especially in the United States, is how to remain respectful of the descendants whose artifacts are being studied. For years, American archaeologists dug on American Indian burial grounds and other places considered sacred, removing artifacts and human remains to storage facilities for further study. In some cases, human remains were not even thoroughly studied but instead archived rather than reburied. Furthermore, Western archaeologists' views of the past often differ from those of tribal peoples. The West views time as linear; for many natives, it is cyclic. From a Western perspective, the past is long gone; from a native perspective, disturbing the past can have dire consequences in the present. To an archaeologist, the past is over and must be reconstructed through its material remains; to indigenous peoples, it is often still alive. As a consequence of this, American Indians attempted to prevent archaeological excavation of sites inhabited by their ancestors, while American archaeologists believed that the advancement of scientific knowledge was a valid reason to continue their studies. This contradictory situation was addressed by the Native American Graves Protection and Repatriation Act (NAGPRA, 1990), which sought to reach a compromise by limiting the right of research institutions to possess human remains. A new trend in the heated controversy between First Nations groups and scientists is the repatriation of native artifacts to the original descendants. An example of this occurred on June 21, 2005, when community members and elders from a number of the ten Algonquian nations in the Ottawa area convened on the Kitigan Zibi reservation in Kanawagi, Quebec, to inter ancestral human remains and burial goods—some dating back 6,000 years. Due in part to the spirit of post–processualism, some archaeologists have begun to actively enlist the assistance of indigenous peoples likely to be descended from those under study. While this cooperation presents a new set of challenges and hurdles to fieldwork, it has benefits for all parties involved. Tribal elders cooperating with archaeologists can prevent the excavation of areas of sites that they consider sacred, while the archaeologists gain the elders' aid in interpreting their discoveries. There have also been active efforts to recruit aboriginal peoples directly into the archaeological profession. Pompeii (1710): The Prince of Elboeuf made the initial exploration of the city, but it was not for another hundred years until the entire site was systematically mapped and examined. 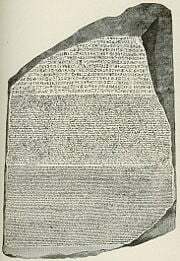 The Rosetta Stone (1799): Discovered by Napoleon’s army in Egypt, French academic Jean-Francois Champollion used the text as a basis for the first translations of the ancient Egyptian hieroglyphs. 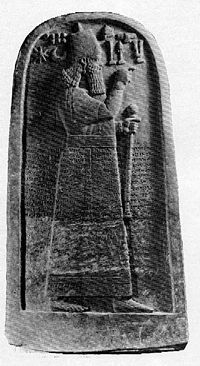 City of Ur (1854): J. E. Taylor discovered and excavated Ur, one of the largest Sumerian cities ever constructed, in what is now present-day Iraq. Ruins of Troy (1871): Discovered by German millionaire Heinrich Schliemann, proving that the legendary city of Homer was an actual, historical location. Machu Picchu (1911): Ancient city located in high Andes, found by Hiram Bingham, was one of the first intact South American ruins to be discovered. The Tomb of Tutankhamen (1922): Discovered by Howard Carter and Lord Canarvon, it was the first royal tomb in Egypt to be found intact and not pillaged by grave robbers. Olduvai Gorge (1930): The legendary Leakey couple of anthropological fame, Mary and Louis, discovered stone tools that date to over 1.8 million years ago. 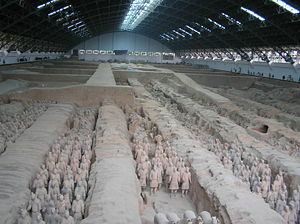 View of the largest excavation pit of the Terracotta Army. Xi'an Terracotta Warriors and Horses (1974): Chinese peasants came across the remains of thousands of terracotta statues from the reign of Qin Shi Huang, China’s first emperor. When archaeologists were finished excavating, they had discovered thousands of statues, making it the most plentiful site ever studied. Red Bay Wreck (1977): Archaeologist James A. Tuck performed one of the first underwater excavations, discovering a lost sixteenth-century Spanish whaling ship, pioneering important underwater techniques. 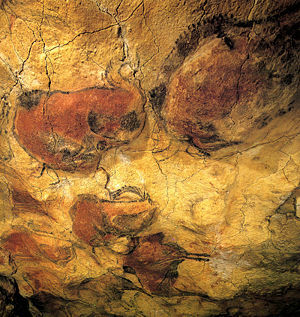 Ngarrabullgan Cave (1991): Bruno David’s discovery of Aborigine inhabitation pushed the inhabitation of Australia back to forty thousand years ago. ↑ Colin Renfrew and Paul Bahn, Archaeology: Theories, Methods and Practice, 3rd ed. (New York: Thames and Hudson, 2000), 21. ↑ Walter W. Taylor, A Study of Archaeology (American Anthropological Association, 1948). ↑ Colin Renfrew and Paul Bahn, Archaeology: Theories, Methods and Practice, 3rd ed. (New York: Thames and Hudson, 2000), 548. ↑ Katie Wallace, Bones of contention, Canadian Geographic Magazine Online. Retrieved April 18, 2007. Ashmore, W., and R. J. Sharer. 1999. Discovering Our Past: A Brief Introduction to Archaeology. McGraw-Hill. ISBN 076741196X. Maniscalco, Fabio, ed. Web Journal on Cultural Patrimony. Retrieved April 18, 2007. Archaeology magazine – Published by the Archaeological Institute of America. North Pacific Prehistory – An academic journal specializing in northeast Asian and North American archaeology. African Archaeology – The African archaeology portal. This page was last modified on 11 April 2016, at 15:35.